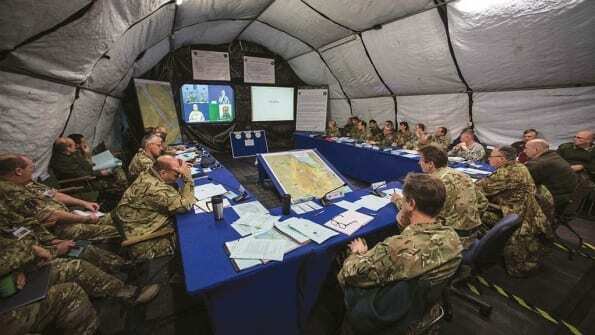 In support of the UK’s Land Warfare Centre- Warfare S&T, Cervus Defence have conducted a data capture and analysis during Ex ARRCADE FUSION 17, to gather evidence to inform the concept of a Corps Forward Command Post. This included the capture of objective and subjective data to investigate the C2 architecture required to support the proposed concept of a Forward CP. Uses opportunities which lower both visible and thermal signatures. With little practical experience in designing and executing such an activity, the ARRC were fortunate to have the support of Field Army’s Warfare Branch S&T. Through an existing Fd Army Contract Cervus were tasked to provide technical support and to develop a live capture and analysis plan that would generate evidenced findings that would support both Warfare and Capability development. Using techniques adapted from Cervus’ Training Data Exploitation (TDx) services, an experimentation plan was rapidly developed which exploited the capture of OpCIS C2 information flows and merged the data captured. The data was subsequently merged, and a detailed analysis was conducted resulting in a series of recommendations to ARRC. The ARRC supported by Field Army has growing confidence in undertaking Analysis and Experimentation activity. Whilst there is a perception that the required situational awareness requires a large staff to ‘feed the beast’ the data captured on this empirical study shows that a lighter and distributed Fwd CP is a viable option. It allows a Commander greater flexibility in where they situate themselves to influence the campaign. The CIS architecture employed was both sufficient to support COMARRC and his Forward Command Post Staff to provide this SA as well as being agile and deployable and able to hide in plain sight. The employment of various civilian networks enabled the Corps HQ to hide in the wider noise and thus improve electronic concealment. 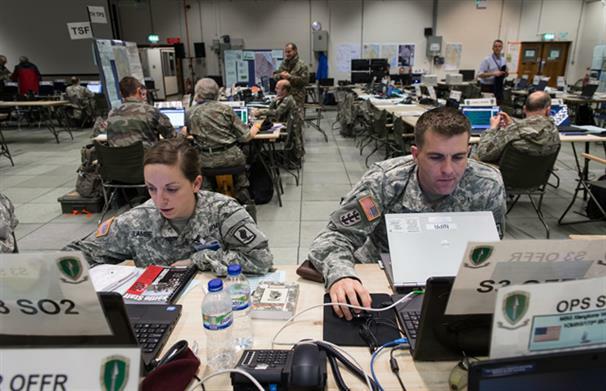 Removing COMARRC from ARRC MAIN appears to have also provided COMRRC increased thinking time, whilst maintaining connectivity to enable key dynamic decisions as they present themselves. This approach should be considered by other OpCIS enabled formations as a method of reducing the enemy threat to formation HQs and their staff as well as allowing the commander time to think. The decisions which COMARRC is required to make do not occur routinely and frequently, however will often have significant political impact and associated legal complications. It is therefore vital that he has face to face access to his senior legal and political advisors. If you are interested in understanding more about our C2 Experimentation capabilities , please get in touch via the contact form below. Having been in the ARRC I welcome this work by Cervus in helping develop HQ ARRC C2. Dispersed command and 'hiding in plain sight' helps a HQ survive. Useful force development.